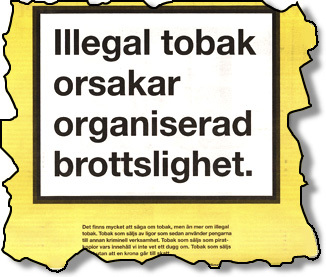 29 March 2001: The two anti-tobacco organizations CIPRET-Genève and OxyGenève publish their press release titled ”Geneva, platform of a scientific fraud without precedent”, where professor Rylander’s connections with the tobacco industry are pointed out. They also demand that the Geneva University must investigate the matter. 30 March 2001: An investigation is initiated by the rectorate of the Geneva University. 20 April 2001: Ragnar Rylander sues Pascal Diethelm and Jean-Charles Rielle, representatives of the two anti-tobacco organizations, for defamation on three points: for having claimed that Rylander was secretly employed by the tobacco industry, that he was one of the most highly paid of the industry’s consultants, and that he was responsible for a scientific fraud without precedent. 29 June 2001-24 maj 2002: The first trial in the Geneva Police Court. Diethelm and Rielle try to prove that their allegations are correct and thus do not constitute defamation. 6 November 2001: The rectorate of the university of Geneva presents its investigation: The context in which Rylander has chosen to work does not ”seem innocent in all respects”. 24 May 2002: The verdict in the first trial: The court agrees with the defendants on one point, that Rylander was secretly employed, but the claim that he was one of the most higly paid consultants and that he was guilty of scientific fraud could not be proved. Rielle and Diethelm are imposed a fine of 4,000 CHF each. They appeal. September 2002: The Geneva University continues the investigation in the light of new facts presented during the trial. On December 20, the university representatives acknowledge that they might even reassess professor Rylander’s research results and communicate this to the scientific community, if necessary. 13 January 2003: The second verdict. The Cantonal Appeal Court in Geneva establishes the verdict of the Police Court. However, of the two counts from the earlier trial, now only one remains: the question of a scientific fraud without precedent. It was found that the defendants had proved that Rylander was one of the most highly paid of the industry’s consultants. The fine is lowered to 1,000 CHF. Rielle and Diethelm appeal again. 17 April 2003 (published May 28): The Supreme Court of Switzerland (Tribunale Fédérale) annuls the judgment of January 13, as being ”incomprehensible” and ”arbitrary”, and refers the case back to the cantonal court. Extensive information in French at the Prevention web site.